Are you familiar with the term Computer Telephony Integration (CTI)? If your business revolves around the phone, CTI is something you need know about. According to Salesforce, CTI is the practice of tying your phone system together with your computer systems. The benefits will only continue to stack up as technology advances with each passing year. 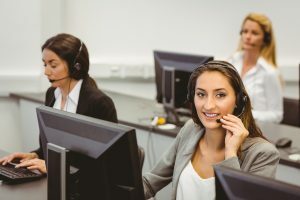 If your business has a contact center, integrating your phone into Salesforce is an easy way to improve your employee output and increase sales. It’s no secret that your business necessitates getting in front of as many sales prospects as possible to succeed. The more opportunities your salespeople have at the plate, the more likely they’ll get a hit. Salesforce integration helps raise the number of touchpoints your sales representatives have with prospects by letting them dial leads directly from its CRM. Manual dialing might not take long, but if you’re making fifty calls a day, the time spent punching in a number adds up. With increased dial speed, your employees can make more calls in a day and be more efficient. Since your sales team will be making more dials, they’ll face more voicemails. To save time, Salesforce also lets you pre-recorded a message that your employees can drop into the mailbox and move onto their next call. Converting a lead into a customer gets easier the more information you have about them and their specific needs. A CRM is critical for storing information about leads you’ve spoken to. As noted by Newvoicemedia.com, by integrating your telephone system with Salesforce, your reps can view all of the information you have about a prospect before placing a call. Information like company, job title, geographic location, which products they’ve purchased in the past and even their LinkedIn profile can be quickly accessed. Having lead information like this will improve the quality of sales calls and help address a lead’s needs and concerns on every call. On the flip side, if a lead calls you, a screen will pop up with all of their information. This feature ensures that your employees are never caught off guard by an impromptu sales call. A CRM also helps organize the sales process by giving your reps a single place to store all their lead and prospecting data. You’d imagine every salesperson loves a good CRM, but many keep their own notes their own way. Sales reps avoiding using their organization’s CRM instead rely on excel spreadsheets, business cards, sticky notes and etc. to store their lead data. While storing data this way may work for your reps, it doesn’t benefit the company. The lack of widespread CRM adoption is especially problematic if your company has high turnover. You don’t want a new rep taking over for one who just quit talking to a lead or customer without any information or notes on why they were a lead in the first place. Leads won’t appreciate starting from square one with someone new. By connecting salesforce with your phone system, you’re making your CRM harder to ignore. Besides the benefits mentioned above, phone integration tracks all of the calls your reps make to prospects or leads. If they aren’t using the call information stored in salesforce, they’ll have remember the last time they called a prospect on their own. This leads to errors such as forgetting that you just called a prospect or that you we’re supposed to call one back a certain amount of days later. Salesforce phone integration tracks critical data like how many attempts were made to reach a prospect — important information your reps will need to be aware of before they decide to reach out again. Without this information logged, sales reps are just making calls with no strategy behind them. Do the benefits of phone salesforce integration sound like they’d be a good addition to your business? We can help you purchase and install the integration! Contact us here and someone we’ll reach out shortly to explain how we help.